This broach will be a beautiful accent to your wardrobe from day time career suit to night time fancy evening dresses, in an office or a cocktail party, it goes with any occasion. 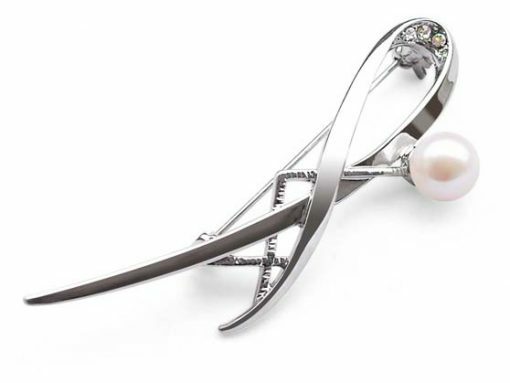 It features a real 8-8.5mm cultured pearl set in 18k filled white gold with three tiny cubic zirconia diamonds on the top and decorative carving at the bottom. 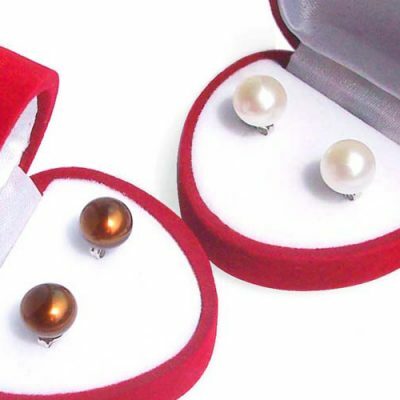 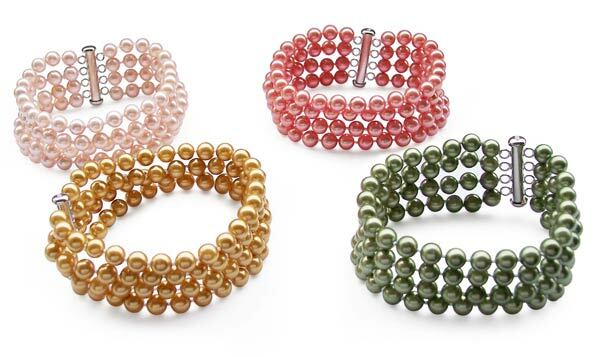 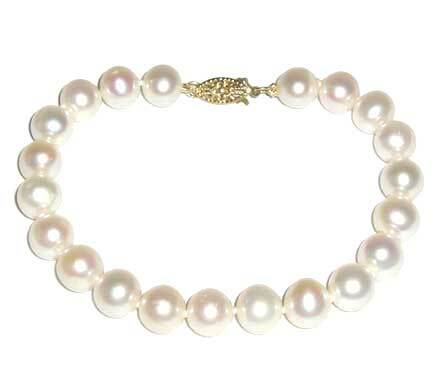 The pearl is genuine, perfectly round, freshwater cultured pearl, not imitation or plastic. 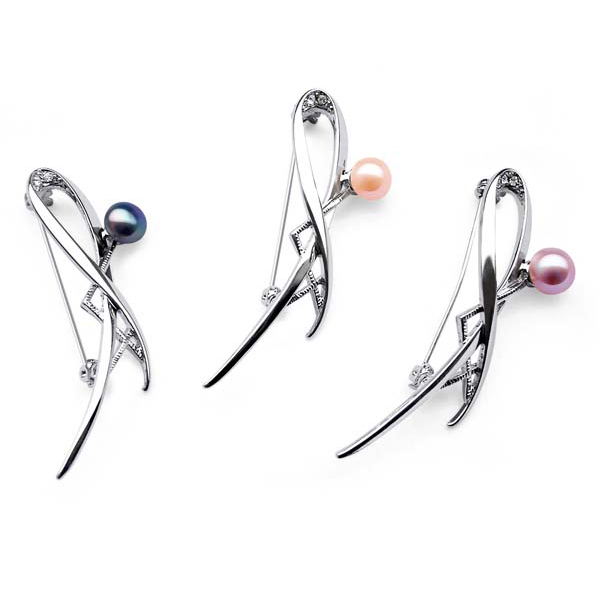 It has a high luster and doesn`t have any visible markings on its surface. 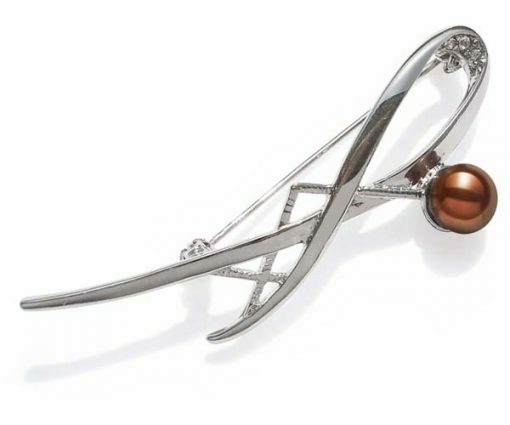 The broach measures approximately 1″ to 2 1/2″ from its longest two dimensions.